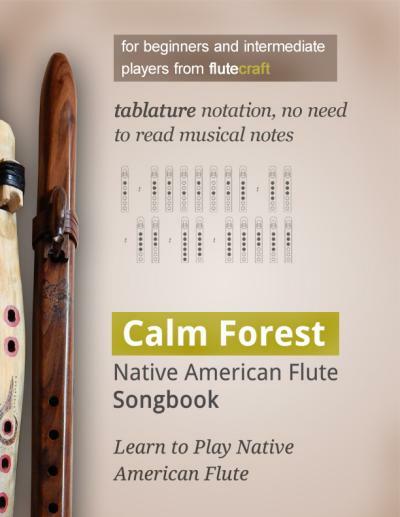 In order to make a Native American style branch flute, you need to understand branches. Learning some basics about this particular piece of the tree will save you a lot of troubles in flutemaking. 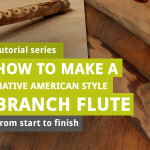 In this lesson on how to make branch flute you will learn what kind of branches you should look for, and how to dry a branch so that it is ready to be turn into a Native American style flute. One of the most basics things you can do before becoming a flutemaker is to go to local library and read as many books on woodworking in general as possible. Also, use the Internet. For example, you can watch Steve Ramsay’s channel – his videos are not focused on flutes, but on different wood projects, but just by watching how others do things, you can learn a lot. First, you need a branch – it can be collected in a local forest, or in your garden if you have proper trees growing there. Use the Internet or local library to learn about the trees growing in your area. Learn how to recognize them by looking at them, their leafs or needles, or their bark etc. This is important, because at first you should really seek softwood, not the hardwood. There is a whole wood hardness scale that you need to learn. 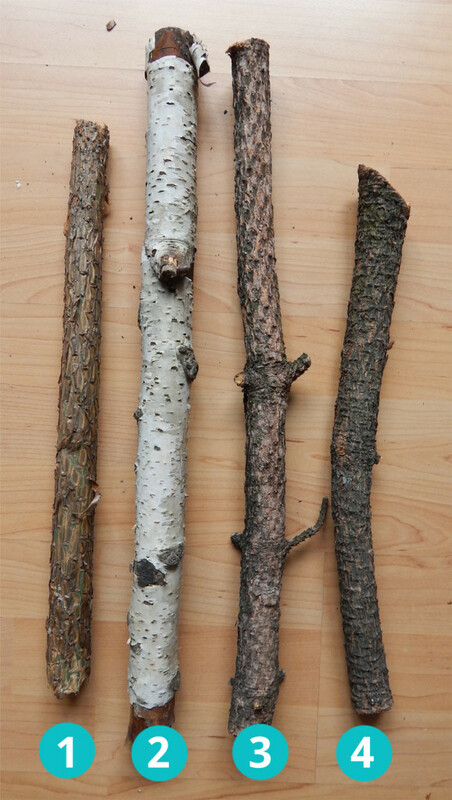 Basically, you should look for tree’s branches that are are as soft as possible according to the wood hardness scale. Learn more on Wikipedia: Janka Wood Hardness Scale. Personally, I use spruce, pines and larch, because these are threes soft enough. I suggest to look for branches that have fallen down from a tree and are already dry in most past. They’re “dead”, so their drying time will be shorter than a drying time of a branch that has been just cut from the tree. Besides, if you don’t have to, don’t harm the tree. I collect my branches in local woods. After strong winds or storms, a lot of branches breaks and falls down. And sometimes, I get the branches from people who cut them from the trees around their homes. Sometimes, a branch found in a forest may not be dry, but already rotted – rotted branches cannot be turned into flutes, because they’re soft and fragile. You can’t make a flute out of something that can be carved with a teaspoon ;). On the photo below, you see my idea of great branches for flutes and bad branches for flutes. Branch numer 1 is perfect for a flute no matter how simple workshop you have. Branches 2 and 3 are not good – they can be drilled, or cut on a band saw, but it may not be possible to split them with a knife, because they have too many knots/offshot areas. Branch number 4 is pretty good :). Example of good and bad branches for a branch flute. 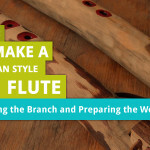 Sometimes, you may see photos of branch flutes that were made from what I call bad branches – why is it so? Well, basically what I call “great branch” is the branch best for beginners or for people with limited tools and workshop. If you have a band saw, you can actually split any branch into two pieces. Or if you make drilled branch flutes, then you’re not limited to “great branches” :). Often, you can see these “offshot areas” on the branch, like on the branches 2 and 3 – basically, what you are looking for is a piece of branch between these offshot areas. This part of the branch is the one that can be turned into a flute. Like on the branch number 2, the lower area below the offshot is good, it can be cut off and split into two. Knots in the branch are not welcome that much – the clearer the branch is, the better for the flutemaker. It’s because it may be very difficult to split the branch with a knot or “offshot area” without some kind of circular saw or table saw. Also, even if you split the branch, it may be very hard to carve through the knot, because it’s much harder part of the wood. A perfect branch for a flute, no offshots, no knots. Any good branches – because it doesn’t really matter that much if you carve the inner chambers with chisels. Straight branches – if you have figured out how to drill them by yourself :). Now, you can collect long branches and short branches. And I know that most people will prefer to build an F# flute at first – which is long and deep in voice. But the reality is – let’s start with something small. At first, you may make a lot of mistakes, like me when I was just starting out. It’s normal – but after few branches, you will figure out how to make it sound good. Also, it’s simpler to make short flutes work than to make long flutes work. Deeper tones require more experience. And it loses volume, meaning: it shrinks. The shrinking is not very visible, those are very small changes in the branch’s size. If the branch is left in a proper room or area where it can slowly dry, after 6 to 12 months it will be dry and you won’t even notice a difference. But if you dry it too quickly, or you carve it too soon and glue it back together, the branch will continue to dry, but its structure will have a hard time adjusting and breaks will appear. Also, if you make a flute out of a branch that is not dry enough, it will continue to dry and even if it doesn’t break or split on its own, you will lose the tuning and you will have to re-tune the flute again. That’s why it’s a better idea to dry a branch before making a flute out of it. Some people, especially those tho drill their flutes, drill the chambers first, and then let the branch dry. Without the glue, the branch shouldn’t break or split during the drying process. If it does, the breaks are small and can be filled with some artistic inlay, like with crushed minerals, that fill the breaks with help of epoxy glue. A pre-drilled branch dries quicker, because it has smaller volume and greater evaporation space. Often, a dry branch can be found in the forest, if it got broke off from the tree. Or, it can be cut off from a dead, and already dry tree, as well. If you don’t have to, don’t cut out a branch out of a living tree, when there is a lot of stand-alone branches already on the ground. The best way to dry a branch is to place it outside but under a roof – this way, it will be protected against rain and snow, and at the same time it will be dried by the wind and fresh air. The branch should remain this way for a couple of months until it’s dry enough. If you can’t dry the wood outside, you can just leave it somewhere in your home – place it in a room where it is dry – don’t use a kitchen, bathroom, basement, because there is too much moisture there. An attic may be fine as long as it’s not too dry and hot, because if the wood dries too fast, it may break or split, making the branch useless. When stored inside, the branch should be seasoned for half a year or even a year, at minimum. When I was just starting out, I had a room in my place that was unoccupied, and it was very sunny at the same time. And, the air in there was very dry. The branches were simply lying there for months, up to one year, and that was enough to make them dry enough. A quick, non-branch related tip for amateur woodworkers. It’s a good idea to do some test work. Pick up some branch and cut it with a saw. Try to cut out some pieces of the surface. Try to burn out through the wood. Try to drill the inside holes. 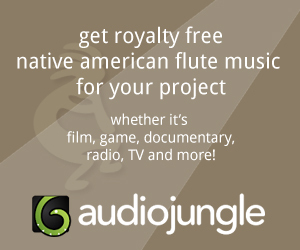 Pick up some piece of a type of a wood that you wish to make flutes with. Before I made my first flutes out of a pine, I took a piece of a pine branch just to learn what I’m going to work with. I used chisel to carve the inside of the pine’s branch. I burned through the wood with my burning tool. 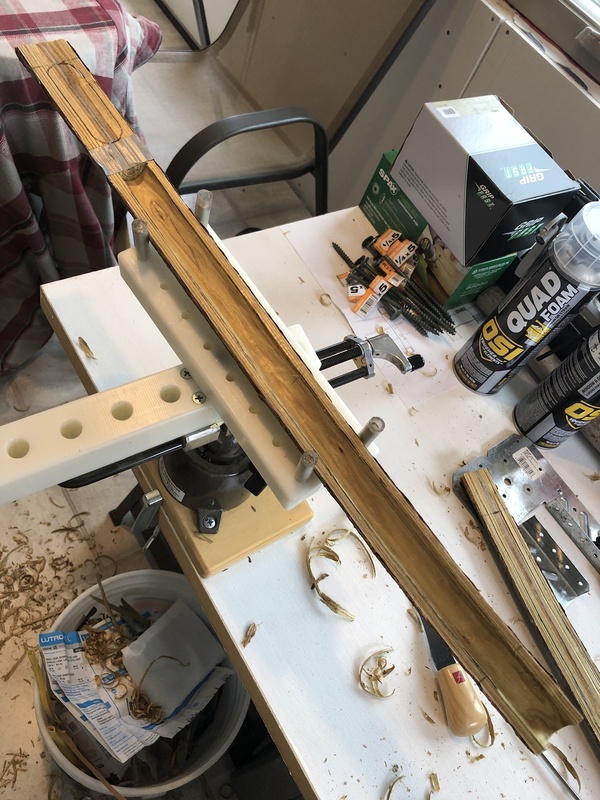 I sanded it, I created a nest, I played with a knife only to see how the wood behaves – what may go wrong, how many pieces can be cut out accidentaly, what kind of pressure and strenght I need to apply for this type of wood and such. This way, with a lot of test branches and lumber in general, you can learn both the tools and the material before even getting to make a flute. It will save you a lot of time. There is a different approach to drying a branch. First, you can split it and carve the inside chambers, and glue it back toghether, then leave it to dry for a couple of weeks (or even months). Once carved, the branch will dry faster than without carving it first. Just remember not to create a nest or finger holes just yet, because additional holes may cause the flute bo break. Also, it’s a good idea to bind the branch together with straps or twine after removing the clamps used for glueing. This way, the branch will receive additional reinforcements and it should not warp and break as a result of drying process. To speed up the process of drying, you can build a simple “kiln” to dry the branches. 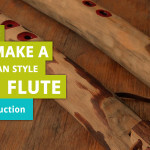 This is an idea I’ve found on the website of Jon Sherman who makes his famous “Dryad Flutes” made of unsplitted branches. To do so, you need some cardboard box, some lightbulbs and alluminium foil. Jon published a post on his website with some general info regarding the kiln: check it out here. Basically, two strong lightbulbs heat the box filled wtih alluminium foil, and branches lie down above the lightbulbs, on a rack. Remember that this type of tool will use a lot of electricity, so please watch out for high bills. There is a simple way to figure out if the branch is dry enough. It requires you to do some math. First, use a kitchen weight to weight the branch. Create a simple table, where you can mark the day the branch was collected, and the dates of weighting along with the weight. Write down the date and branch’s weight. Next month on the very same day, weight the branch again and write the date along with the weight in the table. Continue to weight the branch and make notes for the next few months. As the branch dries, it loses weight. Notice how much weight the branch looses every week. Let’s call this a “W” factor. For example, let’s say that the “W” is 10 grams each week – it means that each week the branch loses 10 grams. When the weight loss is slowing down until it’s only 1/4 of the “W” factor, and this continues for another two or three weeks, we’re done with drying. For example, if the “W” was 10 grams per week, and for few weeks in the row you notice the branch loses only nore more than 3.5 grams per week, then in simple words it means that the humility of the branch is lower than 20%, and now the branch is ready to be turned into a flute. Or, in simpler words: measure the weight of the branch as it dries – when it stops loosing weigth, it’s dry and ready :). These days when we think about ecology, you may think about building some kind of solar dryer with a glass, allowing the Sun to dry the branches. Just remember to put some alluminium foil to reflect the heat; place the branches on a rack, for example made of wooden or metal dowels so the heat can surround the branches, and make sure you make holes in the dryer, so the air can flow through – this way, mold should not develop inside the solar dryer. 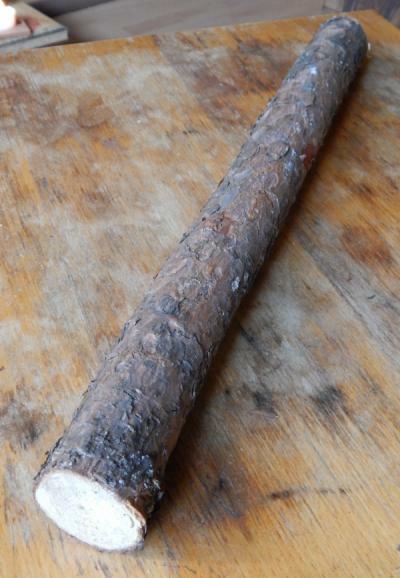 Once the branch is dry enough, it is ready to be turned into a flute. It takes patience if you can’t find a dry branch and you have to wait a couple of months, but it’s better to wait, than have to remake the flute if it splits on its own. The next lesson will focus on splitting the branch and carving the inner chambers. I am starting my first flute from a very straight length of staghorn sumac. The inside of the sumac is beautiful… Banded yellows, greens, browns. I do relief carving, so have all the tools I need. I’ve read your tutorials over twice and plan to follow them religiously! The length of sumac I chose has been drying in a garage for over a year, so I think it’s ready. Will be a gift for my husband… I hope. I guess if it doesn’t play well, it should look nice, anyway! It never hurts to make a couple of test flutes first, from bamboo or some other wood :). I’ve got LOTS of nice straight branches with no knots, so if at first I don’t succeed, I’ll try, try again!